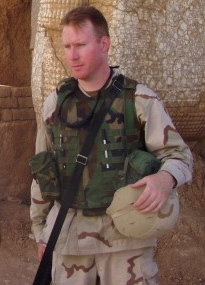 Soldier, Scholar, Politician: An Interview with Dr. Wayne Bowen | Andrew Holt, Ph.D. Although Dr. Wayne Bowen is an accomplished author, professor, and Chair of the Department of History at Southeast Missouri State University, he does not look or act like what one might expect from a history professor. He is physically fit, has close-cropped hair, and carries himself with an obvious military bearing, all of which is undoubtedly a product of his many years as an officer in the U.S. Army Reserve. Indeed, Wayne is a veteran of deployments to both Bosnia and Iraq, and has risen to the rank of Lt. Col. Perhaps equally as interesting, he has also recently embarked on a successful career as an elected politician, currently serving as a city councilman in his hometown of Cape Girardeau, Mo. Moreover, he has done so unapologetically as a Republican, which is a rarity among academics in the humanities. Wayne obviously has a unique combination of experiences and talents, but perhaps his greatest achievements have been as an academic. His areas of research have focused on modern European and, more recently, Middle Eastern history. 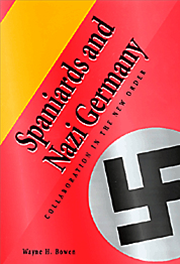 His first two books, Spaniards and Nazi Germany: Collaboration in the New Order (2000) and Spain during World War II (2006), were both published by the University of Missouri Press. 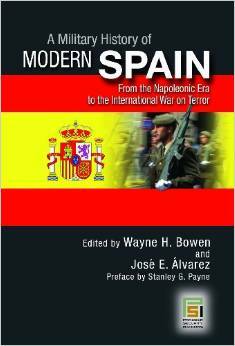 He followed these works with the co-edited volume A Military History of Modern Spain (Praeger, 2007). It was between the writing and publication of these works that Dr. Bowen served a tour in Iraq in 2004 as a civil affairs officer in charge of higher education and antiquities in Nineveh province. 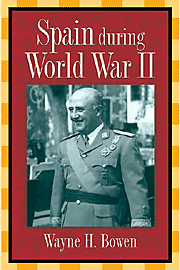 It was then, while engaged in intensive efforts in a war torn environment to preserve archaeological sites dating back to the Assyrian Empire and other past civilizations, that he developed his interest in Middle Eastern affairs. 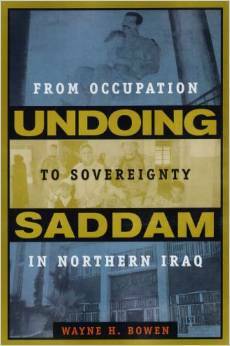 This led to his publication of two additional books focused on both his experiences in Iraq and the history of the region, including Undoing Saddam: From Occupation to Sovereignty in Northern Iraq (Potomac Books, 2007) and History of Saudi Arabia 2nd Ed. (Greenwood Press, 2014). 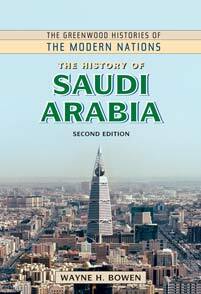 As an academic historian who has deeply invested himself in understanding both the historical roots and recent causes of current events in the Middle East, Wayne is uniquely positioned to offer insights into current events from both a historical and practical (or operational) perspective. Indeed, he regularly publishes columns for the Southeast Missouri State University on foreign affairs that can be viewed here. In light of Wayne’s expertise in Middle Eastern affairs, it is perhaps not surprising that when I first began to provide commentary on events in the Middle East for local media in the Jacksonville, Florida area (after the emergence of the Islamic State in Iraq in the summer of 2014), Wayne was one of only a few people I contacted to see if they would be willing to discuss some of the complexities of events in the region. I had recently met and become acquainted with Wayne at the American Historical Association meeting in Washington D.C. in January, 2014 and so I was well aware of his unique background and experiences. Very generously, Wayne agreed and then devoted considerable time by phone and email to discussing a number of important issues related to the region, often providing fascinating insights not typically available in the media. Fortunately (for readers of this blog), as a number of significant developments have taken place in the Middle East recently, he has agreed to offer us some additional insights here. The self declared Caliphate of the Islamic State now claims authority over a population of millions of people between Iraq and Syria. They have successfully fought a war on three fronts and very little has been accomplished in terms of turning back their gains. According to one recent analysis, after several months of fighting, the U.S. led effort against the Islamic State involving a combination of U.S. and allied air power and localized ground forces (e.g. Iraqi Army, Kurds, Syrian rebels, etc…) has resulted in the taking of only 1% of the land formerly under the control of the Islamic State. What exactly is the goal of the U.S. government with regard to the Islamic State? Is it to destroy them? If so, it does not seem to be working. Or is the goal only to contain them and prevent their future spread into other areas of the Middle East? The Obama Administration is reluctant, for reasons I cannot fathom, to take the threat of radical Islamic jihadism seriously. In recent days, both the president and his national security adviser, Susan Rice, downplayed the threat from the Islamic State. Rice denied that jihadism poses an existential threat to the West, and Obama compared IS to the medieval Crusaders, describing both negatively, but with equally relativistic – and anachronistic fervor. As Louisiana governor Bobby Jindal pointed out, “the Medieval Christian threat is under control.” The Islamic State may not be on the verge of overrunning the United States, but it is a clear, present, and existential threat to our Muslim, Jewish and Christian friends in the Middle East. It remains incomprehensible to me why this White House refuses to describe the Islamic State using the same language employed by Muslims in Jordan, Saudi Arabia, and Iraq, who see this movement for what it is – a radical Muslim movement, apostate but nonetheless fully convinced of its own Islamic nature. The president’s policy appears to be based on sending just enough force to be able to claim to be fighting these jihadis, without enough to have a change to achieve operational or strategic victories. How strong is the Islamic State? I know there have been estimates of the Islamic State fighters ranging from 31,000 to 50,000, but these seem very low. They control a population of millions of people to recruit from and draft into their service. Moreover, reflecting the popularity of their efforts in some parts of the Muslim world, they have had well over 20,000 foreign fighters alone flock to join their efforts in Iraq and Syria over the past several months. One Kurdish commander recently put their strength closer to 200,000 fighters. As others have noted, in a reworded phrase that used to apply to the medieval Holy Roman Empire, the Islamic State is neither Islamic nor a state. Recent reports indicate that neither its leaders nor its fighters know the Quran or other Muslim teachings well, and that even radical clerics that share some of their perspective remain puzzled by the ignorance of Islamic law and traditions demonstrated by IS decrees and interpretations. Not only is the IS incapable of articulating a clear theology, it is proving incompetent in its management of lands under occupation. Unlike other radical Muslim movements, such as Hamas (Sunnis in the Gaza Strip) and Hezbollah (Shias in Lebanon), that have achieved some success at providing basic services, IS is an abject failure. While its leaders seem unconcerned at the suffering in their territories, their logistical inadequacies are beginning to show. Tanks, armored personnel carriers, and other captured US-made hardware is being seen less on their battlefields, as these high-maintenance weapons are being abandoned for relatively minor mechanical problems. Similarly, the IS is struggling to train, equip and sustain the tens of thousands of volunteers continuing to flow into Syria and Iraq to join their cause. Their numbers do vary, and even their top commanders don’t know how many fighters they field. Their initial advances were possible because of a civil war in Syria, sectarian divisions in Iraq, and the needless withdrawal of US forces from the region trumpeted by the Obama Administration. With the gradual strengthening of the Iraqi army, tenacious resistance by Kurds in Iraq and Syria, and the reluctant but real re-engagement of the US, the IS is facing many obstacles to its vision of a restored caliphate. What is the relationship of the Islamic State to Saudi Arabia? How will the recent death of the Saudi ruler King Abdullah affect U.S. and allied efforts against the Islamic State? What might change as a result of his replacement, King Salman, coming to power? Saudi Arabia views the Islamic State as a mortal enemy, an affront to true Islam, and an existential threat to all Muslims. When Saudis call a movement “radical” and “extreme,” that is a pretty clear signal of where a group stands in the Muslim world. King Salman and his kingdom will make no major changes in the fight against the Islamic State; if anything, they will reinforce the military, diplomatic and religious struggle, providing the financial means to support Jordan, Sunni groups within Syria and Iraq taking the fight to the IS, and continuing to push for additional support from their allies, including the United States. Finally, the brutal execution of a captured Jordanian pilot, who was burned alive in a cage, has caused outrage in much of the world. The Jordanian government responded by executing Islamic militants and promised a powerful response. Some have referred to this event as a “game changer.” Are they right? While this have a significant affect in western led efforts against the Islamic State? Jordan is a nation that, to use a boxing analogy, is punching above its weight class. The murder of Lieutenant Muadh al-Kasasbeh mobilized not just the Jordanian population, but was seen by many Muslims across the Middle East as a clear symbol of the Islamic State’s illegitimacy and barbarism. King Abdullah of Jordan, outraged by this crime, has mobilized the totality of his small nation’s capabilities for this fight. On some days the Royal Jordanian Air Force launches more air strikes against the Islamic State than does the United States, an illustration of the will of the Jordanians, as well as the timidity of the Obama Administration. Whether the Jordanian air campaign is sustainable is yet to be seen, but the Jordanian example has encouraged other regional states, including the United Arab Emirates, to increase their own air strikes, a positive development for the coalition. Studies typically show that conservatives are few and far between in academia. One past study claims that at elite universities as much as 87% of the faculty members are self-identified liberals and only 13% are conservatives. If one were to focus only on the humanities, and exclude business and law schools, the divide would be even greater. Have you as an academic, who is also an outspoken conservative and Republican politician, ever experienced any hardships or problems within academia as a result of your political views/positions? If so, you seem to have had a very successful career so far and found a way to negotiate any potential obstacles related to this issue. What advice would you give to young conservatives considering a career in academia? Early in my academic career, I recognized that my political views put me outside the majority perspective. To this day, I occasionally meet academics that find it hard to believe I really and truly am a conservative; in their minds no reasonable person could revere Ronald Reagan, believe the US was on the right side during the Cold War, or believe that both capitalism and Christianity on the whole improve societies in which they are widely embraced. I will say that it is more often other disciplines – political science, sociology, social work – that produce these perspectives. I’ve found the historical profession quite welcoming to me over the years, and have not lacked for opportunities to publish, gain research funding, and collaborate with colleagues in the United States and abroad. The advice I would give to young conservatives is that they should seek to be the best historian, best political scientist or best sociologist first. If they publish solid research, teach in such a way that they engage their students, and contribute in other ways to the profession, they will find academia far more accommodating than if they give primacy to their politics. For that matter, I’d argue that is good advice for any young academic, regardless of their ideology. This entry was posted in Uncategorized and tagged Bosnia, conservative, Iraq, ISIS, Islamic State, Middle East, SEMO, Wayne Bowen on February 11, 2015 by Andrew Holt Ph.D..